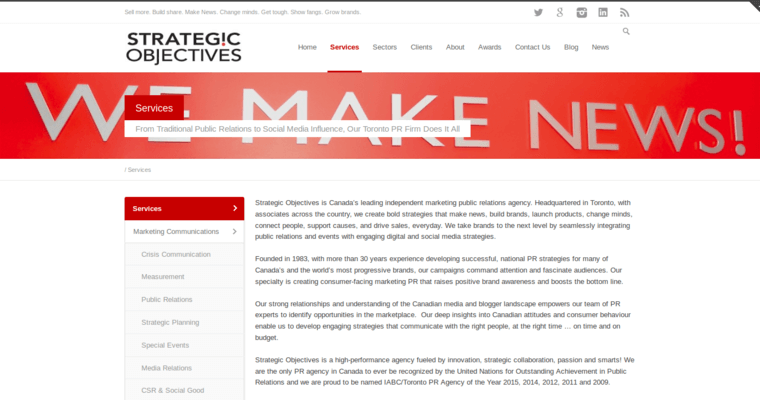 The Toronto-based public relations firm Strategic Objectives employs Social Public Relations and other strategies to build client visibility and reputation. SO is a bilingual firm with experience in each sector and industry within Canada. 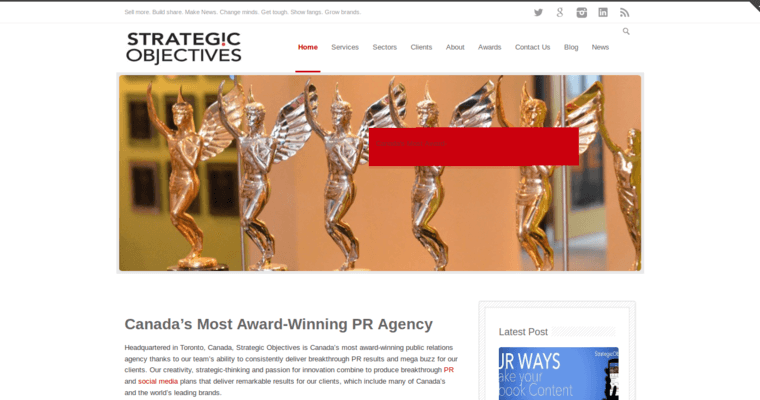 Their campaigns have earned numerous awards including the IABC Toronto PR Agency of the Year five times. Their international awards include recognition from the United Nations for Outstanding Achievement in Public Relations. SO's experience in experiential, social and influencer marketing is backed by public relations services like crisis communication and corporate social responsibility and corporate good. Their marketing arm offer clients full influencer marketing services such as cultivating influencer networks, influencer mapping and identification, product seeding, affiliate programs and online community building. 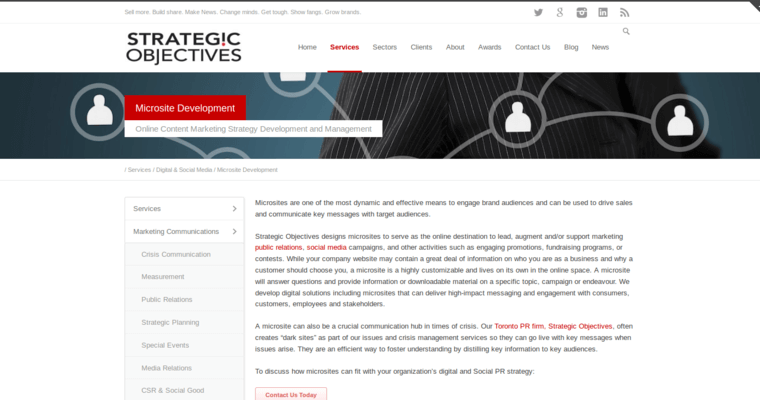 Their extensive social marketing services cover SEO/SEM, content audits, social listening and analytics as well as creative development. In addition to influencer and social marketing, experiential marketing, such as brand-to-consumer is also provided.